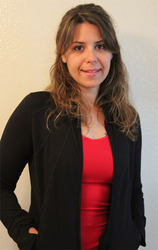 I am a holistic coach for women who need guidance with reaching their health-fitness goals. I help my clients improve themselves and make changes to gain a healthier and a more balanced lifestyle. support them with fitness, nutrition and making healthy lifestyle changes to help reach their goals. and effectively reach them. I am committed to helping you make changes to your well-being. Have you worked with Mina? Tell your friends! Mina hasn't submitted any articles.